It is designed specially for manufacturing of optical passive components and testing of lab reserch. 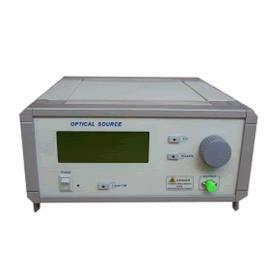 The main body of the light source is composed of high-powered pump laser and erbium doped fiber. Inimitable ATC and APC circuit to ensure the stability of output power. The output power can be adjustable in a certain range by operation of APC adjustment.JW3107 broadband ASE light source has C band, L band and C+L band three types. Hight output power, the max. power can be 100 mw. ST-3107 ASE Broadband Light Source,Power Suppy Cord,Fuze, Instruction Manul and Cotton tampon.